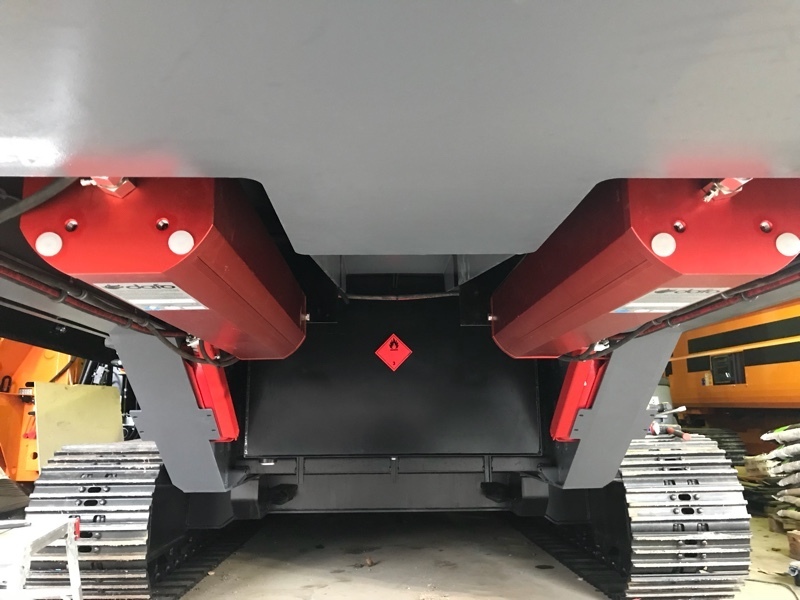 This week saw the Dafo Fire Protection System installed on the brand new Doppstadt Inventhor Type 9 shredder for Blue Group, one of the UK’s leading suppliers of material handling equipment for the quarrying, waste recycling, composting and scrap metal industries. The flagship machine is currently on a demonstration tour of key facilities across the South East of the UK. With a bespoke engineered design, the highest quality installation and nationwide fast response support, servicing & maintenance from the Fire Shield Systems / Dafo UK & Ireland fleet. The Dafo system offers a number of advantages with its 3rd party accreditations ticking the boxes for insurers and government bodies. Its robust and reliable detection method and the world leading suppression agent Forrex is proven to knock down fire and stop re-ignition. Having been specifically designed for heavy plant and machinery by the Swedish wood industry and with over 40 years of product development, it is clear to see why it’s the factory fit choice for a number of the world’s OEMs. The Dafo system offers excellent value, requiring only one service per year compared to powder systems that require two. This saving on downtime and servicing costs, coupled with the reliability of the system to protect your people and assets makes it the right the choice to protect the risk. Among the many technical innovations the off-the-shelf VarioDirect Drive takes centre stage. The system directly and continuously transmits power to the grinding drum and provides entirely new possibilities to further enhance efficiency and flexibility in the grinding process. The VarioDirect Drive stands out for a new reversing behavior towards the material, material-depending rotational speeds and the inclusion of several material-specific modes of operation. Even when high requirements are put on the material, the tremendously flexible VarioDirect Drive ensures maximum performance and efficiency. The grinding comb includes a comb flap that opens up to 120°. Overall, the completely revamped grinding concept further improves operational safety and availability after service and maintenance work. Easy access to all areas of the machine is ensured by doors opening upwards. 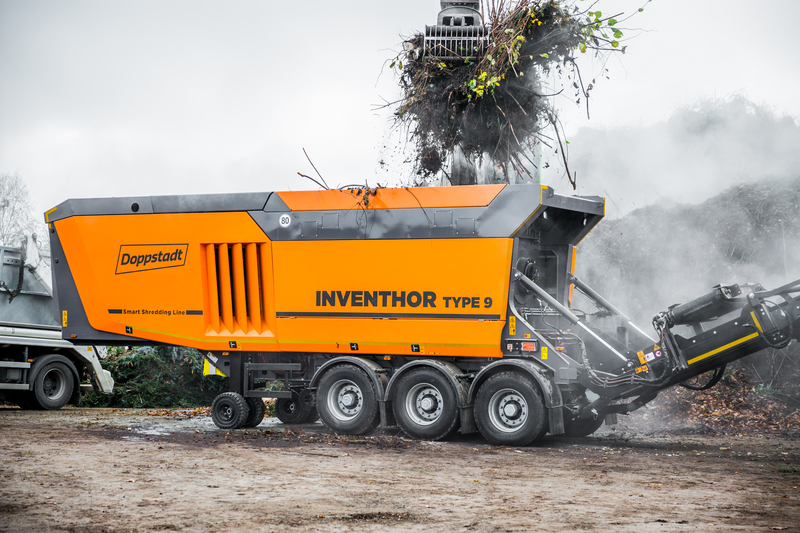 A foldable feed hopper expands the feeding area and – in combination with the particularly steep ascending hopper walls – lays the foundations for maximum throughput rates which can be realised by the INVENTHOR. The flexible grinding concept based on various grinding packages allows for exact adaptation to the processing requirements of different materials. Flexibility is the name of the game further down the grinding process as well. Using the new overall mounting unit different rear system configurations may be applied and easily exchanged. Thanks to selectable conveyor length variants, a great range of drop heights and continuously adjustable conveyor inclinations can be realised.